I wrote Sultana after many years of research into the lives of the last dynasty to rule the southern half of the country, the Moorish family of Banu’l-Ahmar, alternatively known as the Nasrids in a later period. At the dawn of the thirteenth century, others vied for control of Andalusia before the rise of the Nasrids. The Hud family, which originated in northern Spain, controlled the southeastern portion of the country from the 1100’s onward. In AD 1228, an alliance between the Nasrids and the Ashqilula threatened Hud control over the region. With their new allies, the Nasrids encroached on the domain of their enemies and aided the Castilian Kings in wresting control of the last significant Hud stronghold at Ishbiliya or Seville. The Ashqilula or Escayola family, as they were called in Spanish sources, formed an alliance with the Nasrids against their mutual enemy, the Hud, but their allegiance lasted nearly thirty years. The name might have alternately been "Išqalyūla" based on recent studies. Whatever the truth of the clan's name, it remains fact that the two families had intermarried for several generations, beginning with the marriage of Fatima, the daughter of the chieftain Abu’l-Hasan Ali of Ashqilula, who married Yusuf ibn Muhammad, the father of Sultan Muhammad I of the Nasrids. In later years, Muhammad I’s daughter Mumina would wed Abu’l-Hasan Ali’s son Ibrahim and Mumina’s sister would marry another son of Abu’l-Hasan Ali of Ashqilula, Abdallah. When Muhammad I wedded his granddaughter Sultana Fatima to her cousin Prince Abu Said Faraj, orphaned son of the Sultan’s brother Ismail, the Nasrids and Ashqilula warred over the balance of power for the next decade. The first ruler of the Nasrid Dynasty was Muhammad ibn Yusuf ibn Muhammad ibn al-Ahmar and his people hailed him as Muhammad, “victorious through God” (al-Ghalib bi-llah). Sultan Muhammad I was born in Arjuno, part of the Andalusian province of Jaen as early as during the Muslim year 587 AH, equivalent to AD 1191 or as late as 591 AH or AD 1195 - I've now seen both dates and can't verify either. He was a son of Yusuf ibn Muhammad ibn Nasr ibn al-Ahmar and his wife, Fatima bint Abu’l-Hasan Ali of Ashqilula. Muhammad’s brothers included Ismail, Yusuf, and Faraj. According to Moorish sources, Muhammad inherited extensive lands from his parents, the source of his wealth and prestige. I'm uncertain whether he was the eldest son. Primogeniture did hot hold sway in medieval Islamic society; all heirs, male and female took their share of an inheritance. At the time of Muhammad’s birth, the territory of Islamic Spain encompassed the lower half of the peninsula. A loose confederation of emirates, known as the Tai’fa states, had evolved after the collapse of the Almohade Empire. 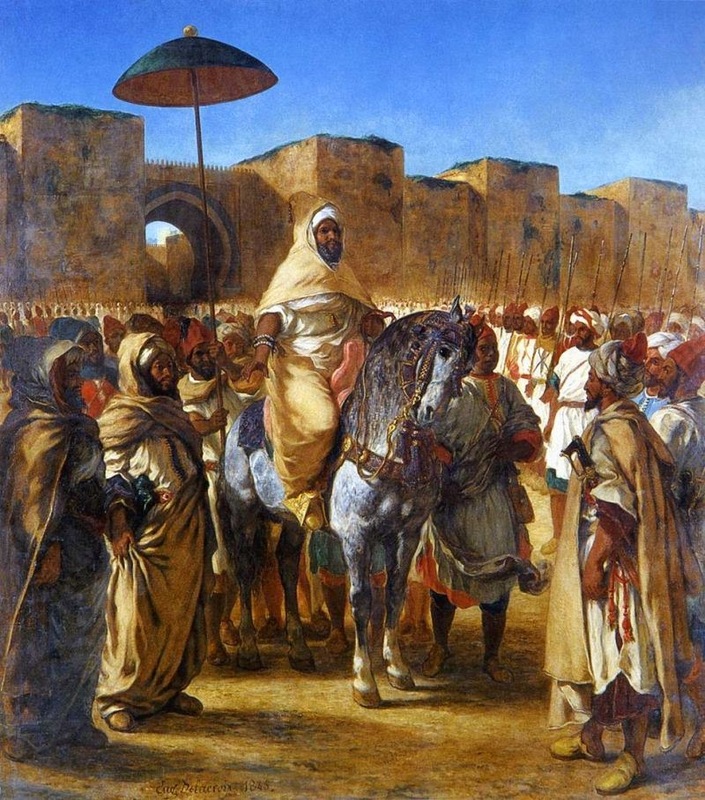 Abu Abdallah Muhammad ibn Yusuf of Hud controlled the province of Gharnatah or Granada. His family purportedly had settled in the Tai’fa of Zaragoza in northern Spain, close to the border with France. In 1118, King Alfonso of Aragón claimed the region and as a consequence, Muhammad’s family moved south to the Arjona area. Muhammad became leader of his home region of Arjuno (628 AH or AD 1231); I don't know what happened in this particular time to precipitate the notable change, i.e., if his father had died. Certainly, there was no power vacuum. Arjuno had by then fallen under the jurisdiction of the clan Ibn Hud, which ruled the Tai’fa of Murcia and had also originated in Zaragoza. When Muhammad revolted against Abu Abdallah Muhammad ibn Yusuf of the clan Hud in the quest for political dominance in Andalusia, Muhammad began with his base in Arjuno (27 Ramadan 629 AH or July 16, AD 1232). He extended his influence only as far as Cordoba after its political and spiritual leaders rejected his claim. Focusing on other areas under Muslim control, Muhammad soon conquered the following principal cities: Guadix (630 AH or AD 1232), Granada (634 AH or AD 1237), Almeria (635 AH or AD 1238), and Malaga (637 AH or AD 1239). With the aid of his allies among the family of Ashqilula, other Islamic leaders in the provinces recognized Muhammad as ruler. His enemy Abu Abdallah Muhammad ibn Yusuf ibn Hud died in 1238 at Almeria, assassinated by of the Hudid governors who had previously sworn loyalty to him. The next Hudid leader was Ibn Hud al-Dawla, uncle of the former ruler. Ibn Hud al-Dawla would later surrender his control of Murcia in the Treaty of Alcaraz (1243) and his territory became part of Castile. As Sultan, Muhammad I maintained his expanding territory by ceding nominal control to Ashqilula governors and members of his own family. He appointed his brother Ismail as the governor of Malaga. Ismail retained that post until his death (655 AH or AD 1257). However, early attacks on Muhammad’s power base eroded his jurisdiction over portions of Andalusia. Christian armies reclaimed the following territories: Murcia (642-643 AH or AD 1243-1244), Arjuno (643 AH or AD 1244), and Jaen (644 AH or AD 1245). Muhammad I also began construction on his palace in Granada, over the foundations of an Islamic fort from the Zirid period in Spain (635 AH or AD 1238). It would become one of the finest examples of Islamic architecture in the West, the Alhambra or “the red fortress” named for its red, brick walls. At various periods throughout the majority of his reign, Muhammad I paid tribute to the kings of Castile or Castilla-Leon, who considered the Nasrid kingdom a vassal state (beginning in 645 AH or AD 1246). The estimated tribute was forty thousand dinars or gold coins. Although Muhammad I submitted to the Castilian demand for aid, particularly in the conquest of Muslim Seville (Ramadan 646 AH or December AD 1248), he did not always accept the terms of vassalage. The initial period of vassalage only lasted approximately 20 years. Muhammad I began openly inciting or aiding the Mudejar populations of the Jerez and Murcia regions to revolt against Castile’s rule (beginning 662 AH or AD 1264). 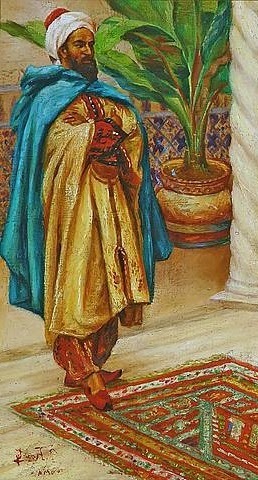 After his brother Ismail’s death, Muhammad I gave dominion over Malaga to Abu Muhammad of Ashqilula, who was likely also his nephew by marriage; despite this possibility, none of the brothers of Muhammad I are noted as having married Ashqilula women nor are any of the sisters of Muhammad I named. Muhammad I raised his orphaned nephews Abu Said Faraj and Muhammad, sons of the former governor Ismail, at the Alhambra. The wife of Muhammad I, Aisha, was a cousin and the daughter of his paternal uncle, Muhammad ibn Muhammad ibn Nasr. Muhammad I had at least four sons of his own: Nasr, Yusuf, Faraj, and Muhammad. The latter would reign as the Sultan Muhammad II, with his full name as Abu Abdallah Muhammad; he and his brother Faraj were likely the sons of Aisha. Another unnamed partner of Muhammad I became mother to his daughters Mumina, who married Ibrahim ibn Abu’l-Hasan Ali of Ashqilula, and Shams, who married Ibrahim’s brother Abdallah ibn Abu’l-Hasan Ali of Ashqilula. The first Sultan died after he accidentally fell from his horse while raiding the frontier town of Martos (1 Rajab 671 AH or January 22, AD 1273). Muhammad I was approximately 82 years old at his death. In Sultana, Muhammad I is portrayed as having complex relationships with the Ashqilula family from the start when he married his granddaughter Fatima to her cousin Abu Said Faraj. No one knows when the alliance between the Nasrid and Ashqilula families began to unravel or whether the union of Faraj and Fatima was the cause. Also, whether Muhammad I married a woman among the Ashqilula remains uncertain, but if he did, she was not the mother of his heir Muhammad II. The second Nasrid Sultan, Muhammad II was born in the Arjuno region shortly after his father declared his suzerainty (634 AH or AD 1237). He was the son of Sultan Muhammad I and a paternal cousin among the Nasrids named Aisha. The Moorish people called Muhammad II al-Fakih, “the jurist” or “Lawgiver” for his swift justice. During his reign, he added to his father’s work at the Alhambra. Feuds with the Castilians, the Marinid rulers of Morocco, and an enduring civil war with the Ashqilula plagued his reign. His young cousin, Abu Said Faraj ibn Ismail, became a trusted and loyal advisor. Abu Said Faraj also married the Sultana Fatima, the daughter of Muhammad II (664 AH or AD 1265). In his youth, among Muhammad II’s studies included works in astronomy, philosophy, writing, and poetry. Muhammad II accomplished the overthrow and exile of the Ashqilula. Under pressure from the Sultan and his allies, the majority of the Ashqilula clan fled to Morocco (678 AH or AD 1279). The date is not fixed; some historical records indicate the exile occurred ten years later. The earlier date seems correct, given that the Ashqilula fought on the losing side with the Castilians against the Nasrids in two subsequent battles (11 Muharram 679 AH or May 12, AD 1280 and 2 Muharram 680 AH or April 22, AD 1281). It seems unlikely that the Nasrids would have tolerated their presence in Spain after these defeats. Muhammad II claimed the city of Malaga and installed his cousin and son-in-law, Abu Said Faraj as the new governor (677 AH or AD 1278). Muhammad II had two known companions in life. His wife Nuzha was a paternal cousin, the daughter of Ahmad, uncle of Muhammad II. Nuzha became the mother of Muhammad II’s children, a boy also named Muhammad who would succeed his father and Fatima, the heroine of Sultana. Muhammad II also had a relationship with a woman named Shams al-Duha, a Christian concubine, who was the mother of his daughters Aisha, Shams, Mumina and another unnamed daughter who married Sultan Abu’l-Rabi Sulayman ibn Yusuf of the Marinid Dynasty (reigned 708 AH or AD 1308). Muhammad II and Shams al-Duha also had two sons, Faraj and Nasr, the latter of whom would also gain the throne in future years. In Sultana, Muhammad II has a fractured relationship with Fatima’s mother Aisha, a woman of the Ashqilula clan, while the historical figure married his paternal cousin Nuzha. His marriage to a Moroccan princess comes from earlier sources, but recent history does not record this union. The Christian mother of Muhammad II’s later children bore the name Shams al-Duha, not Nur al-Sabah as in the novel. I chose the name Shams ed-Duna for the Moroccan second wife of Muhammad II, so it was an interesting twist to learn of Muhammad II’s true companion as having had a similar name. As with many personal relationships in history, it’s difficult to know whether Muhammad II valued his interactions with Fatima, but at least he certainly saw to her education, which was on par with the tutelage her brothers received. Rather than marrying the fictionalized Muna, one of Fatima’s sisters to the ruler of Algeria, Muhammad II wed an unnamed daughter to the Marinid ruler Sultan Abu’l-Rabi Sulayman ibn Yusuf. Another daughter, named Shams, married Abdul-Hajjaj ibn Nasr; by the name alone, I suspect this was a cousin, but he has no line of descent in the family tree. Faraj was the son of the governor of Malaga, named Ismail, a brother to Sultan Muhammad I. The exact date of Faraj’s birth remains uncertain, but it occurred at some point in 646 AH or AD 1248. When Faraj’s father died when the boy was just nine years old in 655 AH or AD 1257, Sultan Muhammad I raised him, alongside Faraj’s brother Muhammad and presumably an unnamed sister. On his father’s side, Faraj was a first cousin and son-in-law of Sultan Muhammad II, cousin and brother-in-law of the Sultans Muhammad III and Abu’l-Juyush Nasr and cousin to his own wife, Fatima. The governorship of Malaga came under the control of Abu Muhammad of the Ashqilula clan, named as a nephew of Muhammad I. Since none of the details about Muhammad I’s sisters are certain, no one knows the exact nature of Abu Muhammad’s relationship to the Sultan and Faraj’s family. Faraj apparently enjoyed a strong and loyal relationship with his cousin Muhammad II, enough to wed the man’s daughter Fatima in 664 AH or AD 1265 when Faraj would have been eighteen years old. His bride might have six or ten years younger at the time of their marriage. When Muhammad II ascended the throne, Faraj became an advisor to Muhammad II, although I can’t find any reference to him having served among the Diwan-al-Insha, the Sultan’s chancery. After the defeat and banishment of the Ashqilula, Faraj became the governor of his birthplace at Malaga, where he retired with his wife Fatima and their young son Ismail. In 2017, I discovered that Faraj may have had another wife in his first cousin, Sultana Lubab al-Mulk, the daughter of Sultan Muhammad I, Faraj's uncle, and the wife of the Sultan named Aisha. The source indicate the relationship between Lubab al-Mulk is uncertain, but if so, it begs the question of what happened to her. Did she die before, during, or after Faraj's marriage to Fatima? Sultan Muhammad I would have authorized the marriage; there are no children descended from Faraj and Lubab al-Mulk. 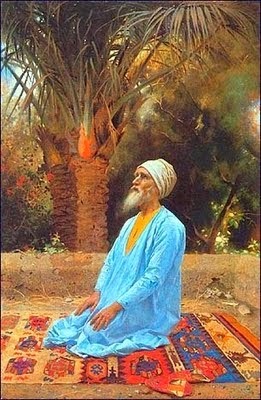 I don’t know how Faraj’s father died in 655 AH or AD 1257. Whether Faraj was the son of an Ashqilula woman as in Sultana is unclear; only his father’s identity is certain. I have dramatized Faraj’s relationship with his younger brother Muhammad, but no sources speak about their association. What Faraj may have thought of his union with his young cousin Fatima is speculation, but he must have been aware of the consequences, or perhaps seen the union as some advantage to him, especially with his cousin Muhammad II as the future heir of Granada. It’s impossible to know when Faraj consummated his union with Fatima; she could have been as old as twelve or as young as eight when he married her at the age of eighteen. Their first son Ismail did not appear until 677 AH or AD 1279. At least three daughters but mentioned, but again, the determination of their dates of birth does not exist to allow for any assumption about the order of the children’s birth. Since most of the Ashqilula fade from history with their defeat during the reign of Muhammad II, Faraj’s interactions with any of them, including Abu Muhammad of Malaga, remain unknown. 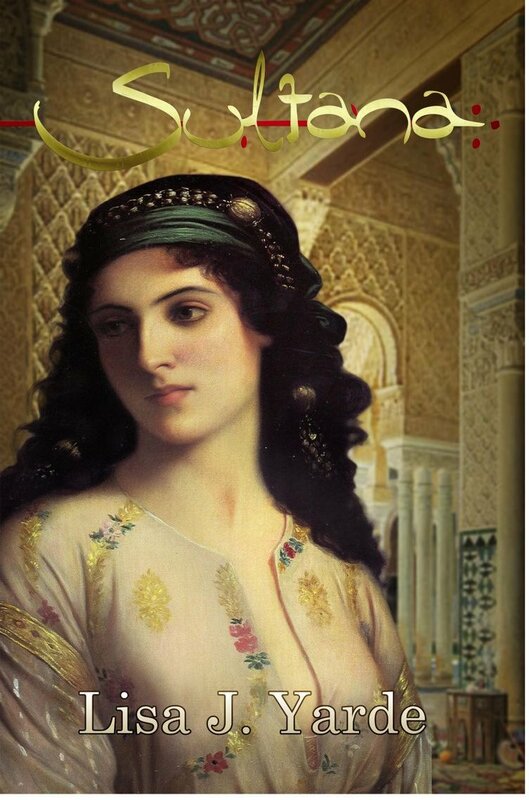 Fatima, the daughter of Sultan Muhammad II and his paternal cousin Nuzha, was a remarkable historical figure, so it seemed only right for her to serve as the heroine of Sultana. I don’t know her date of birth; the most common speculation makes her between eight and twelve when she married in 664 AH or AD 1265 by the dictate of her grandfather Sultan Muhammad I; if so she was born as early as 656 AH or AD 1257 or in 652 AH or AD 1253. I have even seen recent sources placing her birth in 659 AH, corresponding to AD 1260 or 1261. No matter the date, she was a child bride by modern standards when she married. Islamic law allowed such unions, as it also permitted weddings between close family members. Fatima’s father Muhammad II was the paternal first cousin of her husband Faraj. Fatima’s youth at the time of her marriage is also hinted by the fact that her first known child, Ismail, was not born until 677 AH or AD 1279. All the primary and secondary sources describe Fatima as a cultured princess. She studied barnamaj, a repertory of the names of teachers and disciples devoted to religious matters. As I have come to a better understanding of Islam in the Moorish period, I wonder if this study shows evidence of Fatima’s interest in Sufism, which involves masters and disciples in the mysticism of Islam. Her awareness gives an indication of Fatima’s educational upbringing, likely on par with that of her brothers the royal princes. 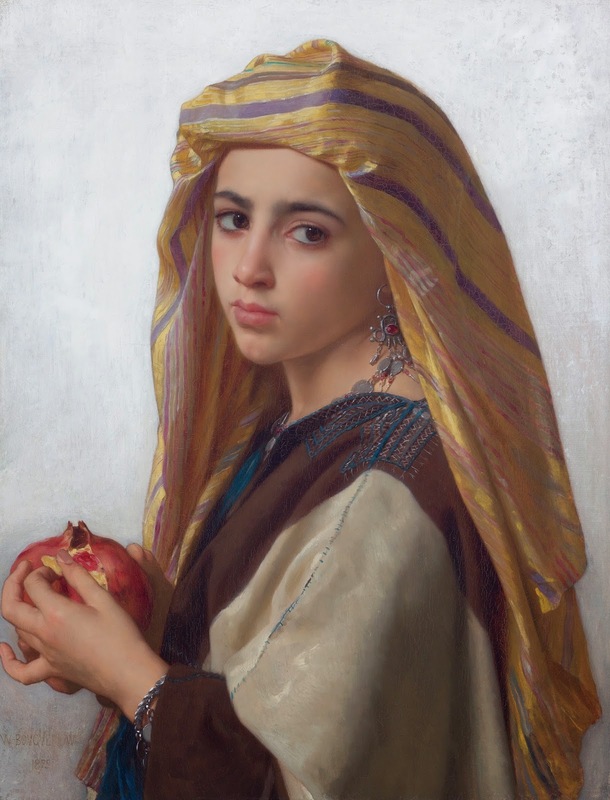 She had one full blood brother from her mother Nuzha, named Muhammad, and two brothers of the half-blood, born of a Christian concubine, Nasr and Faraj, as well as sisters Aisha, Shams, Mumina, and another who remains unnamed. Fatima was a daughter of two cousins within the Nasrid family, the future Muhammad II and Nuzha, not the daughter of an Ashqilula woman named Aisha as in Sultana. To my knowledge, the wedding with Faraj did not provoke an immediate hostile response from the Ashqilula, resulting in Fatima’s kidnapping or the death of her mother. Her relationship with her father is speculation, but he ensured her upbringing and education. How she might have viewed her husband Faraj and the relationship they had during the civil war with the Ashqilula remains uncertain, as is her interaction with her full-blood brother Muhammad.